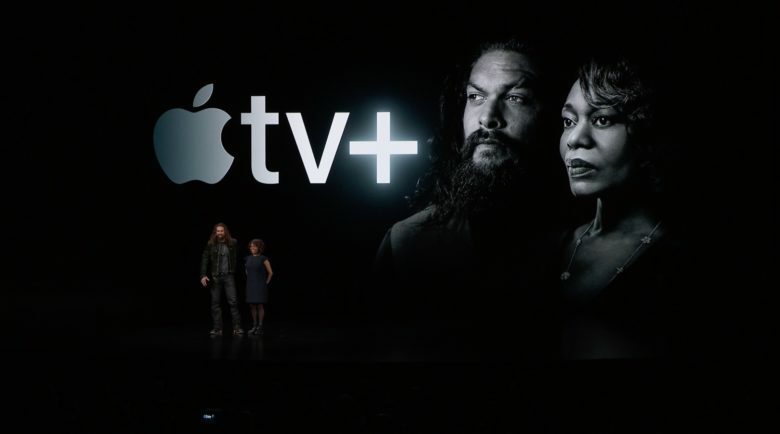 Jason Momoa and Alfre Woodard teased See at Apple's 'show time' event. Aquaman star Jason Momoa is finally getting his own TV show as part of Apple TV+’s lineup of original content. The up-and-coming star first made waves as Khal Drogo in Game of Thrones before getting killed off in the first season. Now it looks like he’s ready to play another fearsome warrior in the series See created by Peaky Blinders showrunner Steven Knight. Based on the few brief glimpses we got, See has the potential to be Apple’s most intriguing show. It has epic world building while also asking deep question about humanity which could make the company’s first hit. It also has the potential to be Apple’s worst show too if it fails to strike the right balance. See looks like it will be a visually stunning show. See takes place in a post-apocalyptic world where the earth was devastated by a virus that was only survived by a few million people. Everyone that emerged as a survivor came out blind. The story begins centuries later when the human race has lived for so long without sight that it’s debated whether it even existed. Jason Momoa looks intimidating asf in the first shot of See. Jason Momoa will play the character Baba Voss. Details on the plot are pretty tight, but Voss is probably one of the “brave heroes” mentioed by Alfre Woodard during the teaser today. Woodard plays a woman named “Paris” but she’s only slated to appear in one episode. Other stars of the show include Hera Hilmar, Christian Camargo, Shalyn Ferdinand and Lauren Glazier. Could this be one of the “evil queens” Alfre Woodard said to expect? It looks like See will be some kind of mix between Game of Thrones and the Walking Dead It’s hard to gauge how good it’ll be when we don’t even have a trailer but it looks like Apple is swinging big with this one. See is reportedly one of the biggest series Apple has in production as far as scale goes. While we don’t know much about what will happen, an early synopsis of the show says the entire world of See is challenged when two a set of twins with sight is born. Alfre Woodard looks like she’s seen some intense stuff in this shot, except she can’t see.